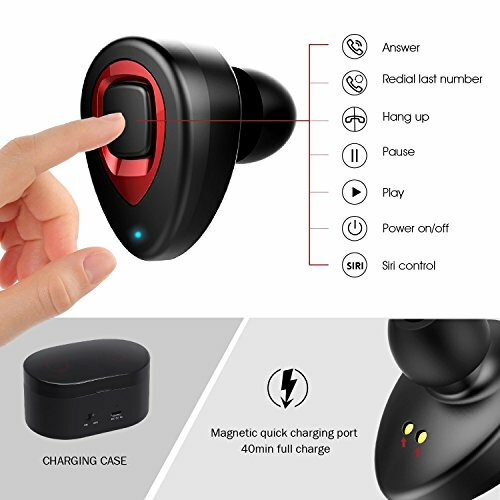 Why Choose This Mini In-ear Noise Cancelling Bluetooth Wireless Earbuds? Sports ear hook are included in package, you can enjoy sport time without concerning falling out. Stereo voice technology with in-ear noise cancelling support you a clear calling and high quality music sound, immersed in the music world wherever you are. Clearly and exactly know how much battery left of this headset while paired with devices. 15 hours music time one by one use with charging case , use the whole daytime. Quick charge, the earbuds only need 40min to full charge, the charging case can be full charged within 1 hour. Different with other earphones, equipped with charging case, the storage function prevent it from falling outdoors. Package with 3 hook, fit for different occasions, office, home, outdoors, sports time, etc. 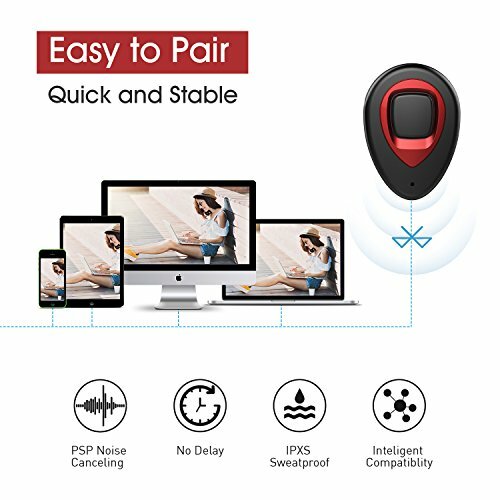 How to pair the wireless earbnuds? long press two wireless headphones main buttons at the same time until red and blue lights flash alternately, loosen the button,two wireless earbuds will connect automatically; If connect one with phone, please long press main buttons about3-4 seconds until red and blue lights flash alternately,then go to next step. 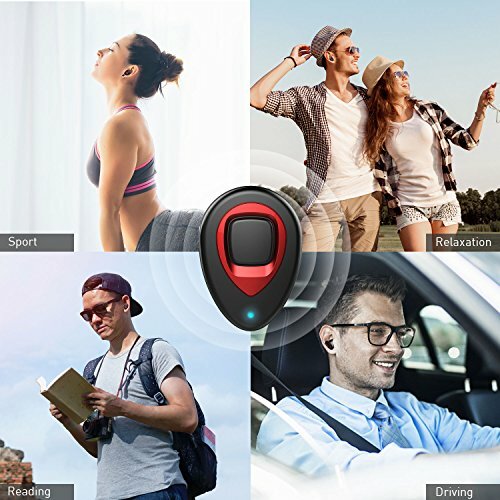 Open the phone’s bluetooth, search bluetooth devices,select TWS-K5S model,then click it to connect the device. 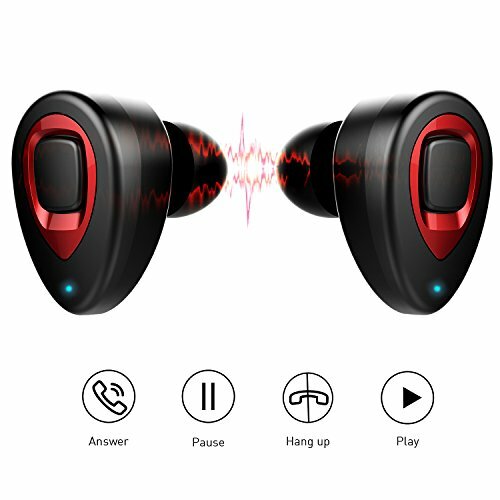 1 x User Manual【SUPER EASY USING AND COMFORTABLE FIT】This wireless earbuds is carefully designed according to ear geometry for secure and comfort wear, perfect angle and 3 sizes of ear cap,there is always a will for you. Only 0.17 oz for one, not easy to slip out, allow running, jogging, and high intensity activities to be enjoyable. 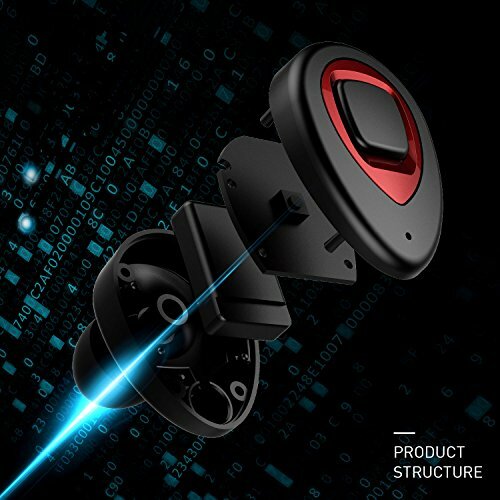 【SUPERB SOUND QUALITY】Latest Bluetooth V4.1+EDR with TWS technology on both earbuds, provides faster pairing, stable connection and signal transmission (3ft no-obstacle range). Noise cancellation technology reduces ambient noise and echo, enable clear sound no matter in calls or in music time. 【LONGER BATTERY LIFE AND CHARGING CASE】You can have over 2.5 hours to 3 hours’ music playtime on mono mode. While the super musical earbuds power can last up to 15 hours with on the go charging case(2 times full charge). You can have all work/school day stay relaxed and concentrative. 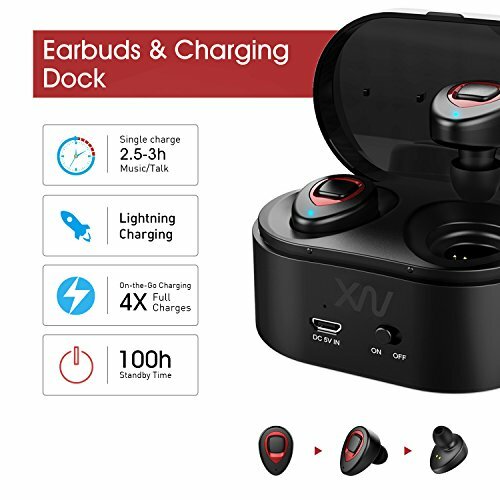 【WHAT YOU GET】One Pair True Wireless Earphones, Charging Case, 3x EarTips, Micro-USB Cable, one month no reason money-back guarantee and 18 moths Replacement Warranty, support 7*24h technology service, 24 hours quick reply.